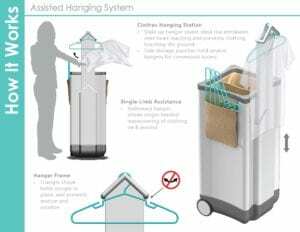 A reimagined lock and key set for front doors, a laundry hamper that also makes clothing transport and storage simpler, and easy-to-use tools for medication alerts and fingernail hygiene took top honors in the 2018 Morton Kesten Universal Design Competition. The competition, a program of the USC Leonard Davis School of Gerontology, encourages student designers from across the U.S. to design products and spaces for people of all ages and abilities using the principles of Universal Design. Universal Design is “the design of products and environments to be usable by all people, to the greatest extent possible, without the need for adaptation or specialized design,” according to the Center for Universal Design at North Carolina State University. People’s needs change over time due to aging, injury, or illness, but Universal Design principles makes daily activities easier for people of all abilities, said Jon Pynoos, UPS Foundation Professor of Gerontology, Policy and Planning at the USC Leonard Davis School of Gerontology and one of the contest judges. This year’s first place prize went to Emma Mantell, an industrial design student at Kean University in New Jersey, for the redesigned front door lock and key set “esa.” The design features an easy-to-use traditional keyring that also can act as a Bluetooth-enabled smart key for a front door’s deadbolt lock as well as a door handle that takes less effort to open once unlocked. The prize included a $2000 award. The “Cinch Hamper,” designed by Milwaukee Institute of Art & Design student Emily Siira, earned second place. Second place, with a prize of $1500, was awarded to Emily Siira, an industrial design student at the Milwaukee Institute of Art & Design, for the “Cinch Hamper.” Equipped with wheels and a lifting system within the bin, the Cinch Hamper employs mechanical advantage to do the lifting and transport of clothing for the user while also providing a simplified system for clothes hanging, Siira wrote in her contest essay. Two projects tied for the $1000 third place prize in the contest. 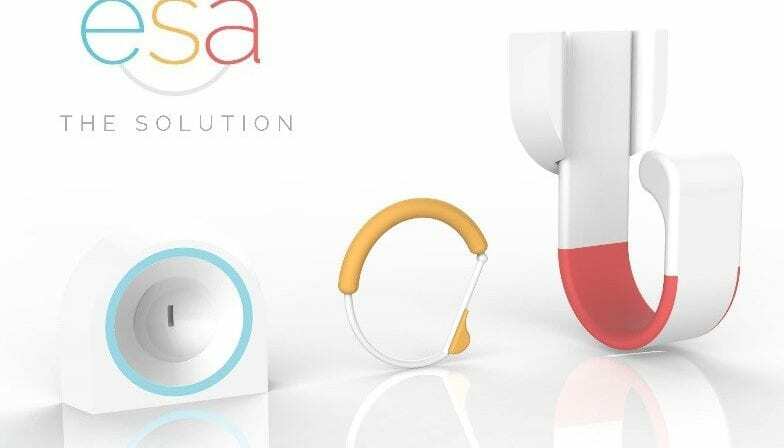 “Recolo,” designed by Arlenis Roberts of Kean University’s Industrial Design program, is a smart medication alert system featuring a tablet with magnetic sides that house accompanying pill bottles and a silicone-skinned wearable notifier that connects to the tablet via Bluetooth. “Petal,” designed by University of Houston industrial design student Quinn Edgecombe, is a tabletop device that enables upper limb amputees to safely trim fingernails without needing the use of both hands. Environmental artist Mary Lou Dauray, one of the contest’s judges, said this year’s 96 entries—the highest number since the inaugural contest in 2014—all displayed outstanding quality, professionalism, and innovation. It’s important to get student designers thinking about Universal Design through activities such as the competition before they go out into the world as working professionals, Pynoos said. Indeed, many industrial design and interior design students submitted competition entries as part of a class assignment. In addition to Dauray and Pynoos, the judging panel also included Susan Duncan RN, designer, founder and principal of The ABCs of Accessibility and instructor with the USC Leonard Davis School of Gerontology Executive Certificate in Home Modification Program, as well as Jordana Maisel PhD, director of research activities with the Center for Inclusive Design and Environmental Access and adjunct assistant professor in the School of Architecture and Urban and Regional Planning, University at Buffalo, New York. The competition is in association with the Morton Kesten Summit, which is held every two years and features the latest developments in aging-in-place efforts by organizations and professionals across the country. To learn more about the competition, Universal Design, and this year’s winners, visit https://gero.usc.edu/udcompetition/.